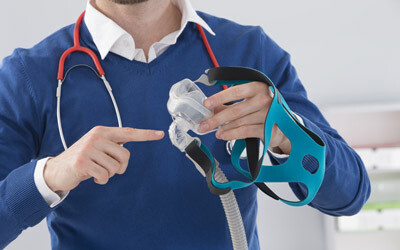 Home > CPAP Machine Toronto > How have CPAPs Changed over the Past Few Years? Like most technological devices over the past several years, the CPAP has been updated and upgraded. What are some of those upgrades? Previous CPAP machines were bigger than they are now by as much as 2 to 3 times bigger. This made it harder to travel with. The newest CPAP machines now come standard with a humidifier already built in, or a place that you can add a humidifier chamber to the machine. The older machines did not have humidifiers in them. The humidifier was added to help reduce nasal dryness which could cause dry mouth, irritated nasal passages from dryness, and because the air was drying out the nasal passages they created more mucus in an effort to moisten the nasal cavity and mouth. The old machines had to be set manually and each time you were not getting the correct pressure to keep your airway open you were required to have a new sleep test done. A majority of today’s new CPAP machines are automatic and will adjust the air pressure rate throughout the night as you sleep to ensure you always get the correct amount of air pressure. The older machines were quite loud but over the past 30 years, that has been changed. Today’s CPAP machines are almost whisper quiet. No longer do you need to worry about disturbing your partners sleep, or that your guest will be disturbed on the other side of your bedroom wall. Unlike the past bulky machines, the new ones are much lighter as far as weight. This makes it easier to travel with them. They weigh less and take up far less room in the auto or luggage. The older machines required your respiratory therapist to make visits to your home frequently to see if you were using your machine and if the mask was sealing properly or if there were any issues with your machine. Today the machine has a card in it that can be pulled out and the data transferred from it that will show how many hours you use your machine as well as other data. As technology makes further advances, there will be new upgrades in the CPAP machines. Just like we have seen over the past 30 years, there will always be new upgrades that will improve the CPAP machine for those with sleep apnea. The upgrades will allow sleep apnea patients to have easier use of their machines. Possible upgrades could include a built in battery that is rechargeable in case the power goes out during the night, which would last 3 to 4 hours even with the humidifier running. Another possibility could be automatically turning off the humidifier if the backup battery took over during power outages to help the battery hours last longer. If you can think of an update sooner or later it will be available.